Your spacious one-click shopping bag: the Bike-Shopper with QL2.1 system can be quickly attached to and removed from your rack. The flexible market and shopping bag remains stable - also on bumpy roads. The adjustable carrying straps allow it to be carried comfortably on your shoulder (adjusted by push buttons) and will not be in the way during biking. 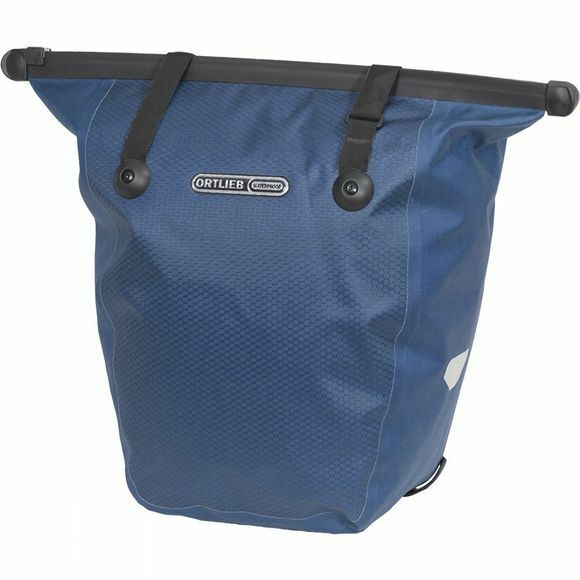 A waterproof Quick-Seal closure provides protection from rain Occasional use of Ortlieb lubricant will keep the closure running smoothly.